Camden County College is concluding the first year of free shuttle bus service between its Blackwood and Camden campuses. 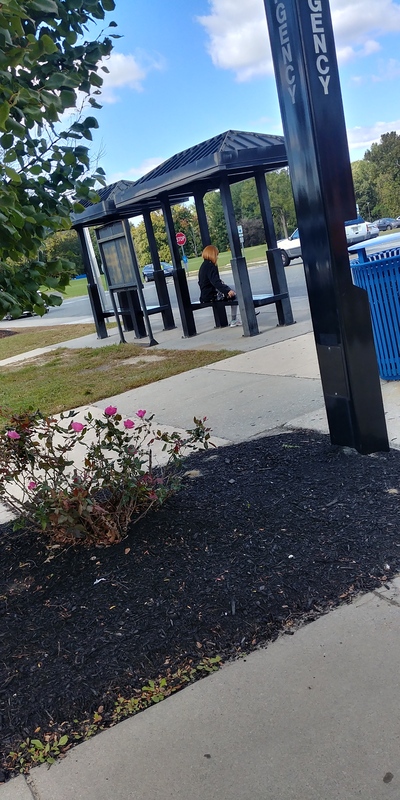 The shuttle bus station on the Blackwood campus is next to the NJ Transit bus station outside the Otto R. Mauke Community Center near Presidential Drive. The pickup/drop off location on the Camden campus is next to the Camden Technology Center on North Broadway. One shuttle bus is handicapped accessible and has a capacity of 20 people. To board, students must show a valid Camden County College student ID to the driver. The bus carries about seven to 10 people on an average trip. “I believe the shuttle service is extremely helpful. I feel that more people need to know about it, though. Either send out a mass email or put flyers up,” said Alexia Lavin, pharmacy major. She stated she has noticed an increase in ridership since the service began. The service was the idea of former Camden County College student Hercmarie Berrios, who wanted to start the service because nursing students who took classes on both the Blackwood campus and the Camden campus were having a difficult time getting to classes on time or at all. “I find that I get caught up on some of my assignments within those 20 minutes to and from campuses. I mainly read assigned pages for my classes, so I have extra time at home to do whatever I want,” said Terrell Floyd, accounting major. “I created the shuttle service because it was a struggle to get to classes at Blackwood. I had to take two buses and a train to get there… It would take me 2 hours to get to blackwood when a shuttle would only take half an hour and make the commute easier, faster, and cheaper,” said Hecmarie Berrios, creator of the shuttle service. The service runs from 7 a.m. to 4 p.m. Monday through Friday on a timetable intended to allow students to arrive in time for classes on the Blackwood and Camden campuses. Shuttle bus services for the fall semester will end Dec. 19 but will return for the spring semester.